NOTE: Due to Craig’s busy channeling schedule, he is not doing private client haunting investigations at this time. Behind every haunting is a ghost. Behind every ghost is a story. 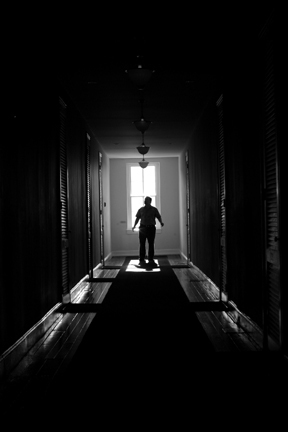 If you feel you may be haunted by ghosts, here’s why that may be happening. Hauntings happen for a reason, and if the haunting is being caused by a disembodied soul, that “ghost” has some personal motivation behind its actions. As a Psychic Medium, I try to get into a ghost’s “mind.” A ghost carries with it the feelings and memories of a lifetime. These souls still think and feel and sometimes will even reach out to communicate with those who they know can hear them. Every ghost is different. These surviving spirits had some mix of life and death experiences that are causing each to remain earthbound. Finding a ghost by sensing its location is the first part of task. Once I find a ghost, I focus my psychic mind on that ghost long enough to make a connection. If I can get close enough, and the ghost chooses not to move away or evade me, I can usually sense feelings and thoughts flowing fairly quickly. Those mind-to-mind communications can be me probing the ghost’s thoughts or actually “talking” to a ghost in a conversation and with the ghost answering my questions. The most common experience in the field would be finding a ghost, reading what the ghost is thinking or feeling and then trying to interpret what could be causing the ghost to haunt. My goal is not to get rid of ghosts. It is very difficult to get a ghost to move on. One can try, but many times the ghost will simply move away and continue haunting. I identify ghosts; I do not dispose of them. Most hauntings that I encounter are fairly benevolent. These are lost souls, and the last thing they need is to have someone throw them out of what may have been their homes. How would you like a strange family barging into your home and evicting you? Ghosts (were) people once. They will move on when they are ready and that needs to be their choice alone. I know several people who have lived in haunted homes for many years who told me they simply told their unseen tenants to stop scaring them. The request seems to have worked in many cases, leading me to believe many ghosts are not trying to haunt and are sensitive to the living’s personal space. If you think you have a ghost, you may try an open dialogue, letting the spirit(s) know you need them to turn down the paranormal volume a bit. It has worked for others and it may work for you. Whether the ghost is haunting your attic or your bedroom, a peaceful coexistence is the best outcome in a ghost investigation. While there are negative hauntings that need to be resolved, most hauntings are just ghosts moving about in their own day-to-day activities. This is not to say there aren’t ghosts with attitudes. Just like their living counterparts, spirits do act out occasionally. Surviving personalities are just that. Ghosts will follow old patterns of behavior from when they were alive. What I try to emphasize is, don’t confuse a bad mood with something truly evil in nature. Many are quick to label unruly behavior as something demonic. Many of the more active haunts I have investigated were just disembodied people acting out unresolved emotions. Ghosts are still very much attached to their former earthly pleasures. Whether ghosts exist in another dimension, that bleeds through into our own, or they exist around us in an unseen state, is still a mystery. I do not yet have that answer. The best thing that can come from communication with the ghost(s) in your home is to create a mutual understanding between the living and the dead. Most ghosts just want to coexist peacefully. They may also be trying to tell you something, which is where I come in. If you think you have a ghost, or just dead relatives acting like ghosts, call my office and we can set up a date and time for me to come for a visit. In the meantime, make a log of what is happening, and try not to let your imagination run away with you! Remember, many hauntings are benevolent. (Living) human beings tend to put a negative spin on any ghost story. At least that has been my experience. Behind every ghost, there is a story. I can usually get them to tell it to me. Who doesn’t love a good haunted house movie? When I was a kid, I thrived on them! 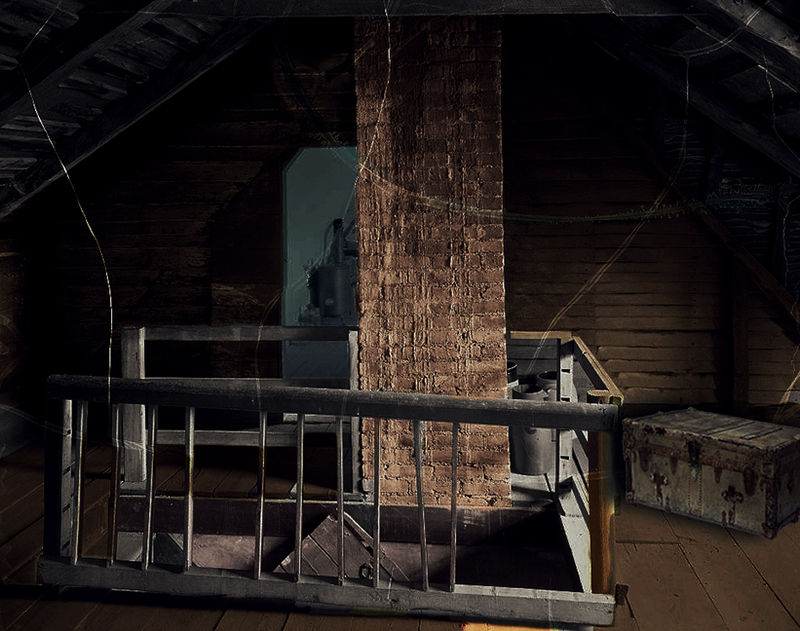 As long as that ghost wasn’t haunting my house, I was drawn right into any old building that looked haunted. Humans have been infatuated by spirits of the dead for a long time. Ghost investigating goes back many years, but really got its start in the mid-1800s with the rise of a movement called Spiritualism. The Victorians loved all things that went “bump” in the night, but instead of ghosts, they were more interested in the spirits of loved ones who had died and were coming back for a visit. 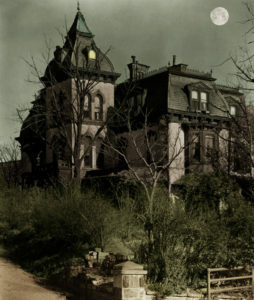 It was not until the 1920s that serious ghost investigation got underway, first in England, and then in the United States. Today, there professional and amateur ghost hunters all over the world. Some of these ghost investigators are psychic mediums, while others come from a more scientific approach, relying on equipment instead of intuitive ability. Then there are those who use both equipment and people with psychic ability to round out their investigations. I prefer this mix of psychic and science. As a medium, I rely on my psychic senses during an investigation, and back it up with any tangible gathered physical evidence like EVPs. I think a good medium can add richness and insight to a ghost investigation, something that ghost-hunting equipment cannot. Certain pieces of equipment, I feel, are necessary in ghost investigations in order to capture physical evidence of ghosts. EVPs or electronic voice phenomenon (ghost voices on tape) are certainly worth noting in paranormal research, so a digital audio recorder or phone voice recording app can be an essential component of any investigation. I have had little success using any of the fancier ghost voice/EVP capturing devices. Cameras are a good source of documentation, but one should be wary of “orbs.” Those balls of light that appear in some investigators’ photos are highly controversial. Most of these spots are light refractions and should, in most cases, be dismissed as light artifacts from ambient sources. In other words, your flash probably is reflecting off rain, mist or dust in the air and creating light spots on the lens of the camera. The picture at the right was taken in front of the old “Daniels” Restaurant in West Cape May, NJ in the early 2000s. 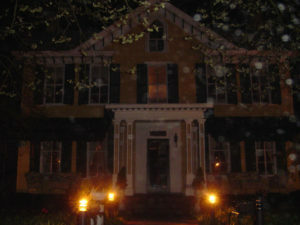 While the spot is known to be haunted, those orbs flooding the picture are not a gang of ghosts swirling around the grounds. What you are seeing is a flash from the camera refracting off falling raindrops. I have seen a few very convincing photographs featuring a ghostly visage, but true apparitions caught on camera are few and far between. Temperature changes can be registered on a good hand held digital temperature gun. If there is no natural explanation for the temperature fluctuations (a door or window opened or an AC/fan unit coming on) you may have a ghost in close proximity. Electrical fields have been known to fluctuate near the scene of a haunting. Certain types of devices read energy field changes (EMF Meters) and may be worth bringing along on an investigation. However, I have little faith with this type of evidence as these EMF detectors are too easily influenced by the body movement of the person holding them. I have been in rooms where paranormal activity is in full swing and the EMF meters are sound asleep. When I arrive on the scene of a potential haunting, the first thing I do is a walk-through of the site. I ask the owner not to give me any details of the haunting until I have finished my tour and recorded my psychic feelings on tape. After this I will relate my impressions to the owner, giving them specifics of where I feel the energy and who I sense doing the haunting. I will usually spend a short time meditating in a few spots around the location, putting my psychic senses to work. If the locale has had enough activity to merit a serious, in-depth look, I will arrange to spend the night or, at least, a few hours. 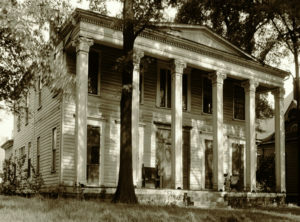 With any ghost investigation, a place is only haunted if the ghost(s) are at home. 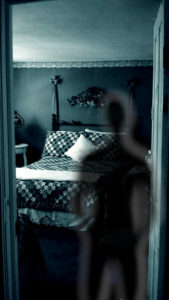 Ghosts are transient beings and like their living counterparts, they are usually moving about. This movement may be confined to the premises, or they may actually leave and go elsewhere, only to return later. Ghosts retain the same personality and characteristics that they had as living beings. Our personalities go with us when we die. Ghosts are souls without bodies. Those souls still have personalities, even without a physical body. Getting to know the ghost is an important part of understanding the haunting. The old term “parapsychologist” is very apt for ghost hunting. One needs to know a little human psychology to understand why a ghost has remained “stuck” between the Earth Plane and the Other Side. As I mentioned above, I do not have, nor do I pretend to have, the ability to get rid of ghosts. I know some people have ghosts that may be upsetting their homes or lives, but as a psychic medium, I can only suggest ways of trying to coexist peacefully with these unseen souls. Some energy workers claim to be able to send a ghost packing. I never make a claim like that. So you know before you call me, I will tell you what I think is happening, but I can’t pack up your ghost and take it with me. I am not a ghost exterminator. How do my investigations differ from others? Most investigators today use equipment to try to locate ghosts. Most people do most of their ghost investigating via one or more of the popular ghost shows on TV. 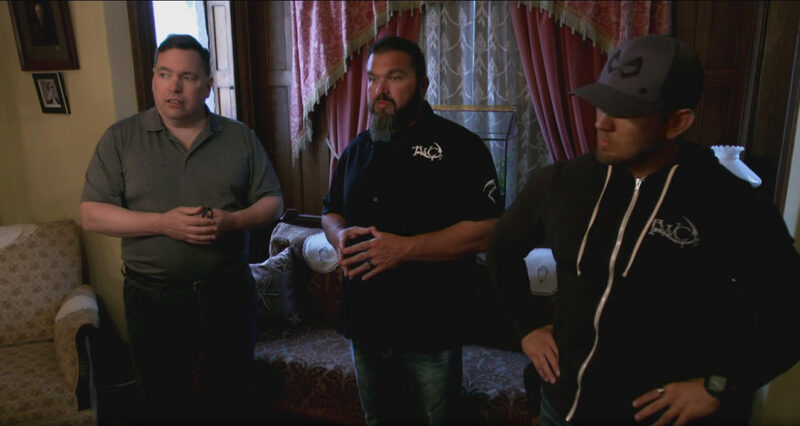 I had the pleasure of guest staring with the guys on Haunted Towns and was intrigued to see how they did their investigating. While I feel very strongly that recording audio to capture EVPs (electronic voice phenomenon) is a great way to collect paranormal evidence, I am not so convinced about things like EMF meters and temperature gauges. In my experience, this type of equipment has rarely yielded any positive evidence of anything paranormal. Some investigators get all warm and fuzzy and then start carrying on loudly when their EMF detector starts flashing its lights. I yawn. Even with all of our meters, gauges, recording devices and psychic probing, we still do not know what ghosts truly are and where exactly they exist. We have many theories and I discuss mine in my books, but no one has definitive proof of why ghosts exist and where exactly they are in relation to us, the living. Ghosts may be just another form of nature that we do not yet understand. Maybe there are some things meant to be kept from our knowledge. It seems the closer we get to answers the more questions arise. Ghosts were a childhood fascination of mine that has now turned into a part-time career! The search continues. Please note that do to a busy schedule I cannot answer specific questions about ghosts and hauntings.